Protect the wetland and marine ecosystems, to educate students and the general public about the delicate wetlands, and to provide appropriate public access to the shoreline and natural areas at Ship Harbor. It is located between the Washington State Ferry Terminal on the west and residential developments near the cul de sac at Edwards Way on the east. In addition to the 25 acres of freshwater wetlands, there are also five acres of upland habitat and 2,000 feet of sandy beach and subtidal eelgrass beds. It is a rich and interesting area, with an abundance of plants and wildlife. Here great blue herons stalk their lunch, wrens and sparrows sing, small mammals scurry for shelter, Dungeness crabs raise their young, and hawks and sea gulls survey land and sea. The area is important to the general environment, providing habitat and protecting the quality of the water in the wetland and in adjacent marine areas. 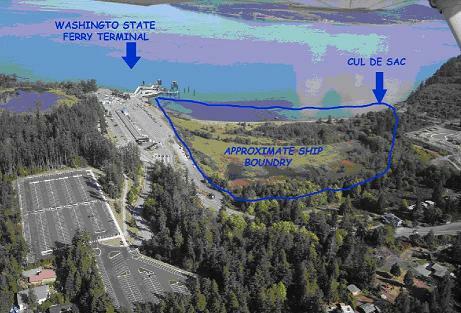 Some 2 million visitors pass through the Washington State ferry terminal annually, with many enjoying the adjacent beach and wetlands. In addition, there is increasing residential and commercial development in the area…the two causing increased foot traffic in the wetland, with informal trails threatening sensitive plants and wildlife. SHIP proposes to control this situation by providing public access by means of a defined trail system that will be both protective of particularly sensitive areas and provide environmental education about the role and significance of the beach and wetlands. It will also provide better public access to the wetlands and beach areas. Participants, including the Anacortes Park Foundation (coordinating the effort), City of Anacortes, Western Washington University’s Shannon Point Marine Center, the Anacortes School District, Evergreen Islands, the Port of Anacortes, Washington State Ferry Service, and a group of local citizens.